Here at Unlock Network, we can unlock a range of cell phones from providers across the world, including Metro PCS. 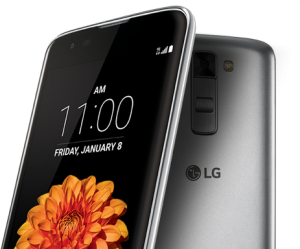 If you’ve bought a handset from Metro PCS but you want to use another service provider, we can help – we’ll even unlock the LG K7, one of the latest releases from the South Korean manufacturer. The K7, first announced and released to the world in January of this year, boasts an impressive specification list, with high-resolution rear and front cameras (8-megapixels and 5-megapixels respectively), a crystal clear 5-inch 854×480 display and plenty of RAM memory and storage. Also known as the LG Tribute 5, the K7 is an Android phone, with a wide display and simple, rounded edges that evoke memories of some of the earlier versions of the iPhone. Brand new, the K7 will set you back several hundred dollars, but that’s where Metro PCS and Unlock Network come in handy. You can buy the K7 on a pre-paid deal with MetroPCS for just $49, $80 off the previous retail price advertised with the company, if you visit their website: MetroPCS. For a smartphone that offers everything its higher-end competitors do, including a 1.1GHz quad core processor, that’s an impressive price.